Cincopa supports adding external links to images in your galleries. 1. Create your Cincopa gallery. 2. On step 2 click on “Advanced” tab. 3.1. 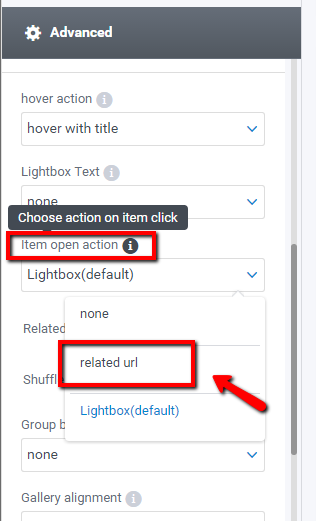 At “Item open action” setting select from dropdown “related url” and choose from the next setting “Related url in new tab” either to open or not in a new tab. 3.2. 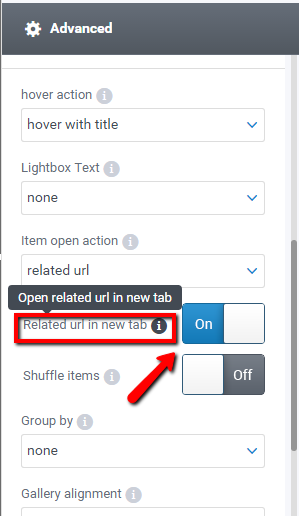 Or select from “Related Url” either to open in the “Same Tab” or “New Tab”. 4. Click “Use these settings” button to move forward to the next step: step 3 – Upload files. 5. 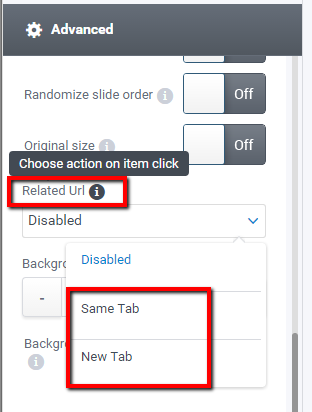 Upload files and click “Advanced Options” in order to expand. NOTE: External link can be different and can be added to each file uploaded if needed. NOTE: Please pay attention for changes to be “Saved” before leaving the page. You can always check this article for more details How to edit an already existing gallery? 6. Click “Next” button and your gallery is ready to use with the help of external links added to uploaded images.